Farmer-trustees from four cooperatives in the National Impact Zone (NIZ) of the Philippine Carabao Center (PCC) participated in a seminar on health, nutrition improvement and family planning held at the PCC national headquarters in the Science City of Muñoz, Nueva Ecija on September 1. 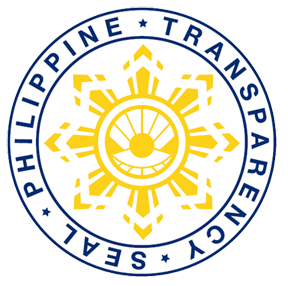 Organized by the PCC carabao-based enterprise development (CBED) operations team, the seminar was held as part of the government’s Gender and Development (GAD) initiatives. It was conducted in coordination with the Provincial Health and Education Promotion Office (PHEPO) of Nueva Ecija province. 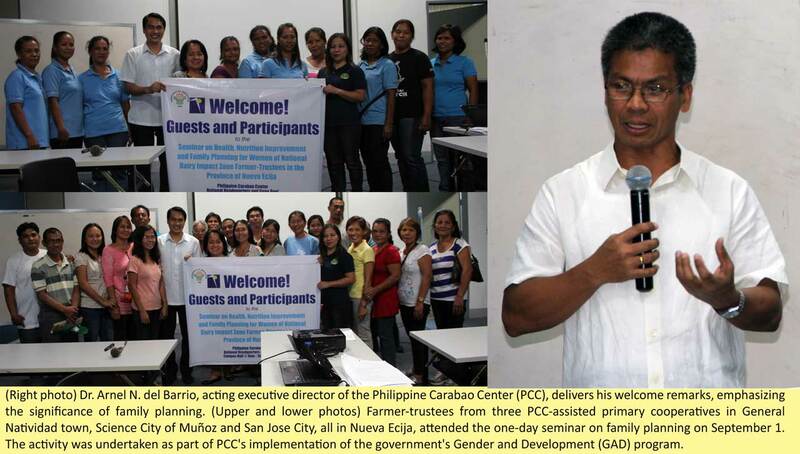 Those who attended the seminar comprised 40 farmer-trustees of selected PCC-assisted cooperatives in the NIZ. Of the participants, 20 were from Nag-iisang Masikap Multi-Purpose Cooperative in General Natividad town, 10 from Catalanacan Multi-Purpose Cooperative in the Science City of Muñoz, six from Eastern Multi-Purpose Cooperative, and four from Simula ng Panibagong Bukas Producers Cooperative in San Jose City, all in Nueva Ecija. According to Ericson Dela Cruz, training and extension national coordinator, the activity was intended to increase the participants’ awareness on the importance of health, nutrition and family planning, and to gain knowledge and awareness on the advantages of well-planned families engaged in dairy buffalo enterprises. Dr. Arnel Del Barrio, PCC’s acting executive director, welcomed the participants at the start of the one-day activity. He assured them of full support from PCC in addressing various concerns related to carabao-based enterprise development. Jessica Supan, a nurse, and Iluminada Pascua, a nutritionist, both from PHEPHO, served as resources persons on topics that covered various aspects of family planning, health and nutrition. An open forum was held after each lecture-discussion. “Pinahiraman natin sila ng kalabaw para makatulong sa kabuhayan nila, pero hindi sila aasenso kung dagdag sila nang dagdag ng miyembro ng pamilya kaya tinuturo itong family planning para makatulong sa pag-tiyak sa kinabukasan ng pamilya nila (We entrusted buffaloes to them so that they can have a better livelihood but their lives won’t get any better if they continuously add members to their family. That is why family planning is introduced to them to help them make a better future), Carlo Tienzo, PCC enterprise development specialist, explained. He added that family planning also includes health and nutrition, thus not only the buffaloes should be healthy but also the dairy farmers. “Nang dahil sa seminar mas napagbuti pa ang kaalaman namin sa pagpaplano ng pamilya. Siguradong ibabahagi naming ito sa mga kabarangay namin lalo na sa mga kapwa namin kababaihan (Because of the seminar, it enriched our knowledge on family planning. We will surely impart the knowledge we have gained to our fellow citizens in our village and most especially to our fellow women),” Carmelita Evangelista, one of the participants, declared.